Blockchain has been assisting businesses go more secure and heard day by day. Sport industry has not been missed in this regard to, vSport has utilized this technology to further enhance user experience and interactivity. vSport is the world’s first fully open, non-profit, and blockchain empowered platform for the sports industry. 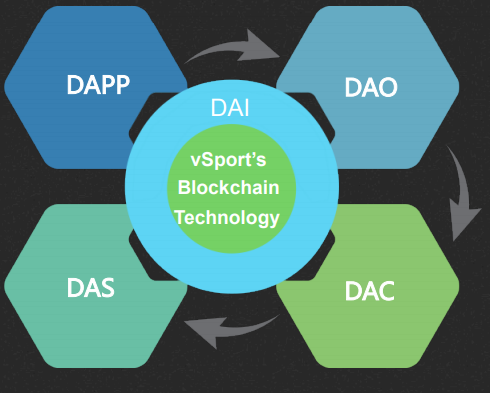 vSport is the “Ethereum” in the sports domain. It aims at redefining and constructing a revolutionary and self-adapting value system for the sports industry. It builds a disruptive ecosystem and a digital infrastructure for the industry benefiting all parties. Eventually it makes sports return to its essence, belonging to the community, and giving rights and benefits back to the community. This will become the accelerator of innovation and reform of the sports industry. How vSport will create an ecosystem of sports via Blockchain? Creation of New Ecosystem of Sports via Blockchain will breakthrough innovation through Revolutionizing benefits distribution model for the sports industry , Decentralizing and self-adapting organization structure ,rerurning to the community essence of sports And a new sports ecosystem. How will vSports evaluate the system of sports value? vSport is planning to build a unique self-adapting Evaluation System of Sports Value. This system will be based on the technologies of Distributed Artificial Intelligence (DAI) and Sports Value Evaluation Model (SVEM). vSport is airdropping 30VSC to those who will join our Telegram Global Community by just leaving your ERC20 Ether Wallet Address. Wallet must not be from exchange.